Still on the nominal spending limit rule advanced by French and German economic advisers. Were small open economies exposed to foreign markets subject to an exogenous shock, the adjustment to nominal spending required by either rule (and particularly by the rule drafted by German advisers) would most likely be achieved by reducing discretionary spending and revenue. The European Commission acknowledges the link (plotted below) while research concludes public spending is primarily discretionary. If Member-States are encouraged to reduce discretionary spending to meet institutional obligations, it may be wise to consider the effect of such reduction before encouraging it – namely, of reducing public fixed capital formation. 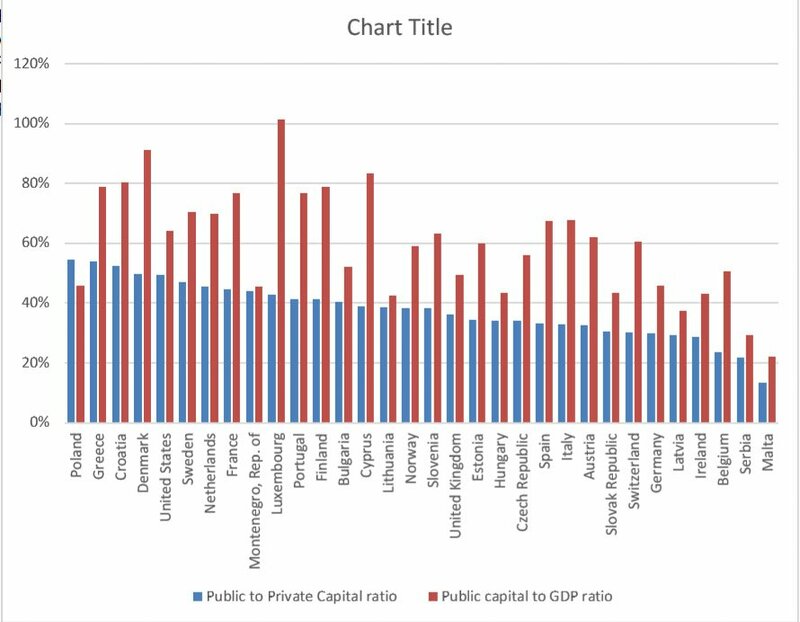 A similar study for the EU shows that s public capital to GDP ratio between 32% and 52% and a public to private capital ratio at 33.7% optimise growth. 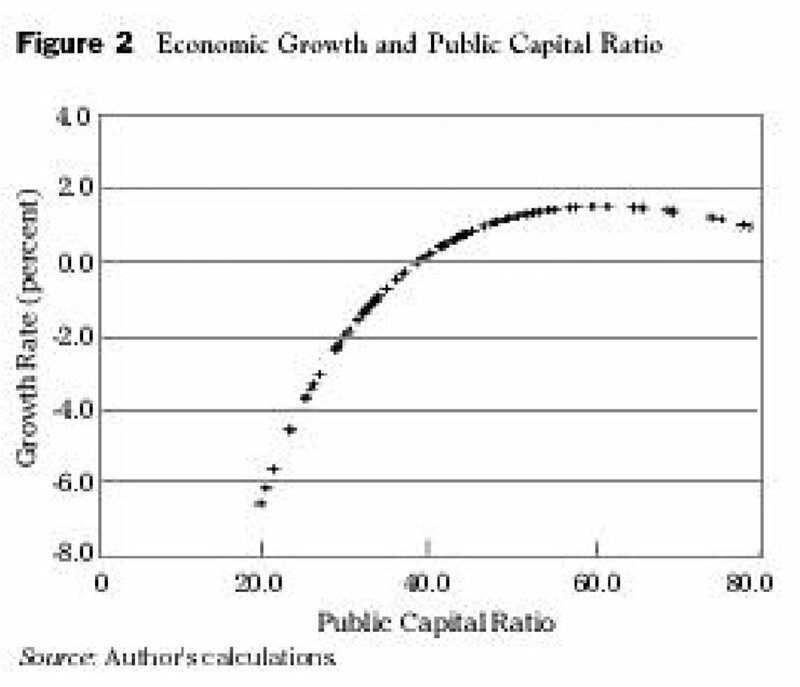 A third study finds a growth-maximising public to private capital ratio for OECD countries between 50% and 80%. The chart below, computed from the IMF’s Investment and Capital Stock Dataset demonstrates most Member-States, particularly Cohesion Member-States, are not yet at such level. Perhaps more importantly, these Member-States debt ratio to GDP are not necessarily near their computed growth-maximising threshold. 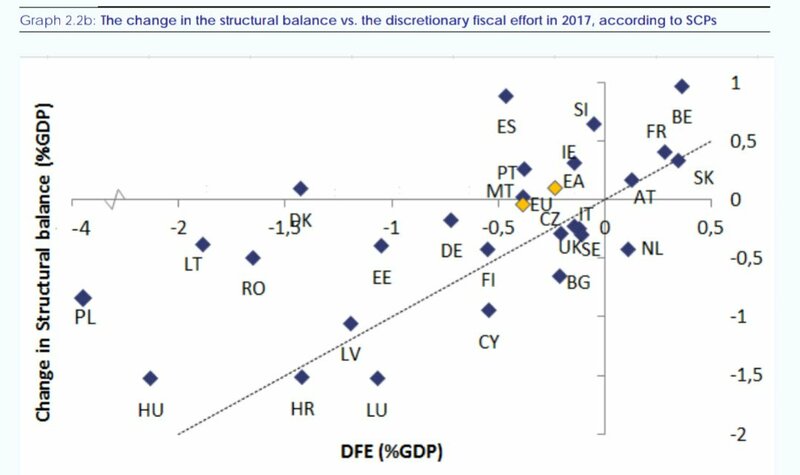 A rule limiting nominal spending at EU-27 while ignoring such distinct realities would clearly go against evidence that the distance to growth-maximising and optimal public capital and public spending levels vary significantly across Member-States. That is not to say a more rational structure of spending is unwarranted.